When medical treatment is blamed, tinnitus may be harder to treat. Adverse consequences are better accepted and more easily managed if the patient had been well informed before treatment started and had acknowledged and accepted the risk. Ear syringing, suctioning, instrumentation, local anaesthetic injection, grommet insertion, dental treatment, hyperbaric oxygen therapy, and ototoxic ear drops are all relatively minor procedures that may be blamed for tinnitus. Major ear operations may cause hearing loss and tinnitus. Ototoxic drugs can cause hearing loss and tinnitus after administration systemically, intrathecally, or topically to extensive wounds or burns as well as from use as eardrops. 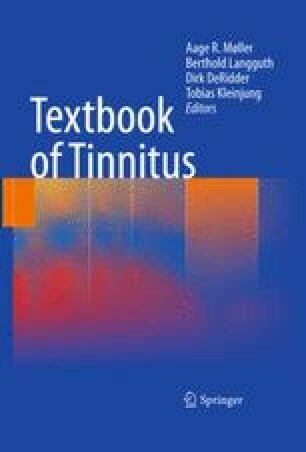 Onset of tinnitus is occasionally blamed on radiation therapy, noisy organ imaging, medical equipment accidents, neck manipulation, and general anesthetic. Tinnitus can be triggered by procedures on any region of the body when there have been excessive pain and associated anxiety, fear, and anger. The medical treatments most commonly accused of causing tinnitus are treatments with drugs. Usually, the tinnitus improves when the drug is withdrawn, provided there is no permanent damage to the cochlea or powerful associated factors. Drugs with proven ototoxicity and that also cause tinnitus include aminoglycoside antibiotics, antineoplastic drugs, anti-inflammatory drugs, loop diuretics, antimalarials, and others. The ototoxicity may be synergistic with other agents that damage the inner ear. Drugs that are not usually considered ototoxic but are sometimes blamed for causing tinnitus include lidocaine, anticonvulsants, antidepressants, cannabinoids, antihypertensives, beta-adrenergic blocking agents, opioids (buprenorphine), caffeine, and antihistamines. At times, drugs from within most of these groups are also credited with ameliorating tinnitus. Robinson P and A Wright. “Are there links between ear syringing, ear problems and tinnitus?”. Ear Syringing (factsheet) cited; Available from: rnid.org.uk. Tungland OP. Ear Syringing and Tinnitus. Information for Everyone 2005 cited; Available from: www.tinnitus.org.uk.